Days ago, INFORMATION NIGERIA reported that Oritsefemi was making plans to sue his former manager for using his ‘MSN’ logo without his permission. Speaking further, Oritsefemi revealed that he’ll even arrest Danku and his mum over the 1 million naira they allegedly stole from him. Danku has remained silent about the issue, but his mum has decided to speak up. “My brother, God will bless you, I really don’t have much to say, but I remember when my son brought him to me and told me about him, the first day I saw him, my mind told me to tell my son to be careful. 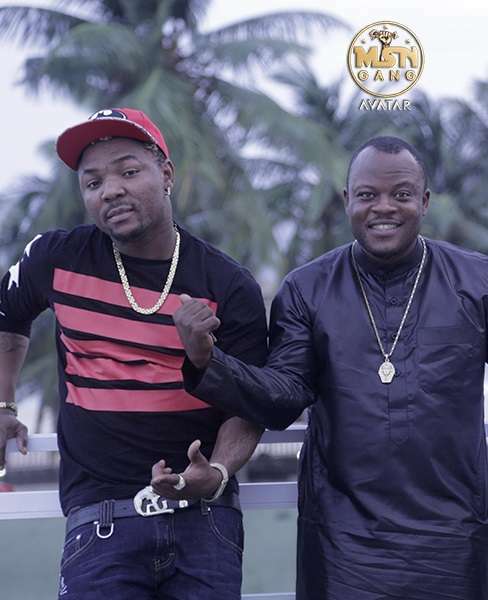 Oritsefemi is ungrateful, because my son was the one that helped him get the Avatar deal” she said. “I remember clearly back then, Danku wanted to take my last son, Oluwaseun to meet the Avatar man in Abuja but I kicked against it because he was in final year in school, I didn’t want him to be distracted so I told him to take Oritsefemi and I was the one that gave them N10,000 to buy the clothes Oritsefemi wore to meet the man in Abuja, I never knew I shouldn’t have helped him” Danku’s mum further said. Mrs. Funmilayo Adepitan denied Oritsefemi’s claims that he gave her N1.5m. Fraudster shops with billionaire daughter, Temi Otedola’s credit card .